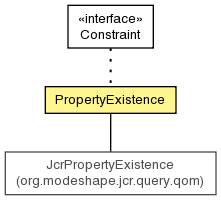 A constraint that evaluates to true only when a named property exists on a node. Create a constraint requiring that a property exist on a node. Get the name of the property.